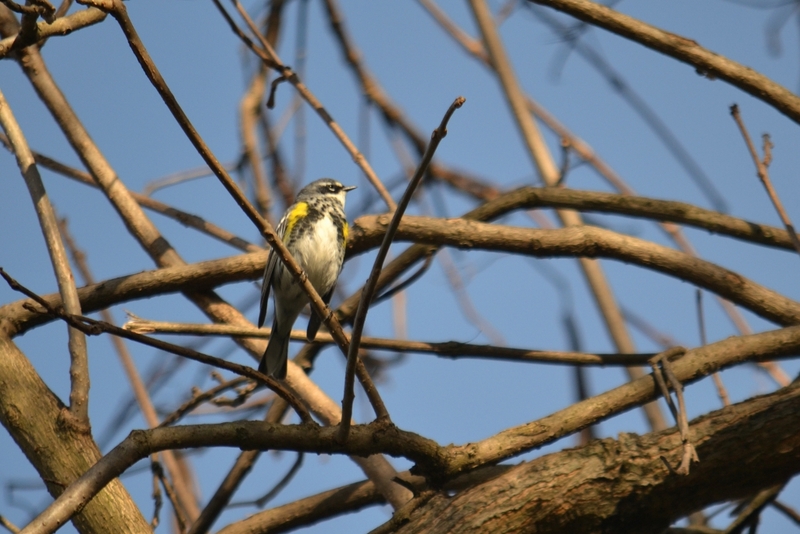 Yesterday, right on time, the warblers showed up at our place. 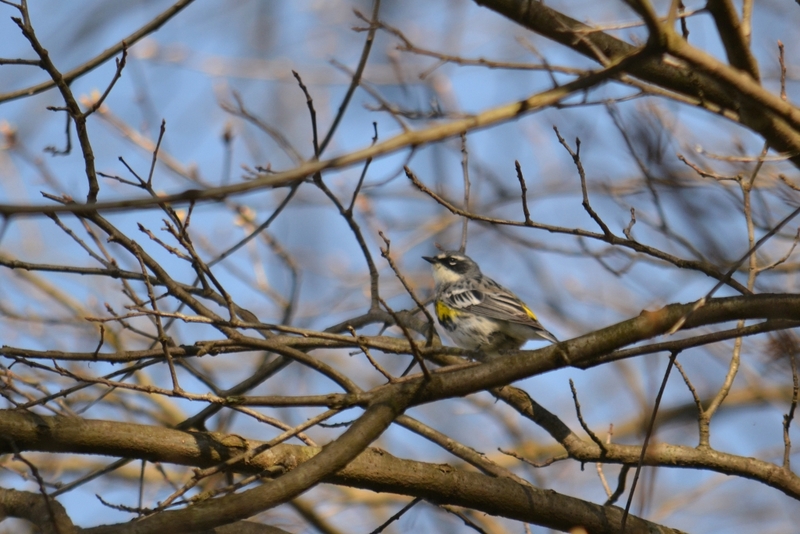 This Yellow-rumped Warbler stopped by to let us know that the warbler migration is on! 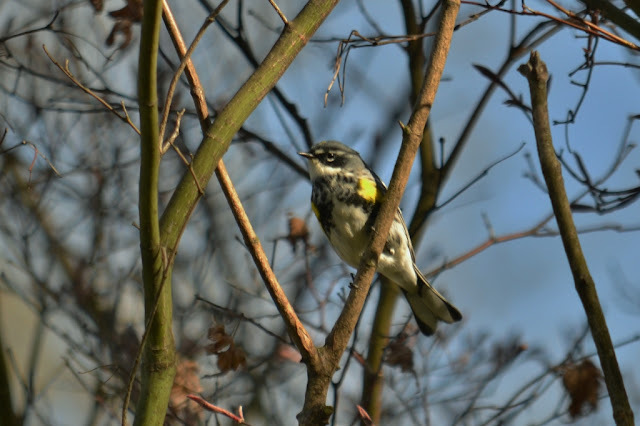 Yesterday, I heard the trilling song of a Yellow-rumped Warbler when I stepped out of the car, so I ran for the camera and managed to take a few photos of the new spring arrival. Later, I looked at my old posts and saw that the warblers had arrived on the same day of the April a couple of years ago. 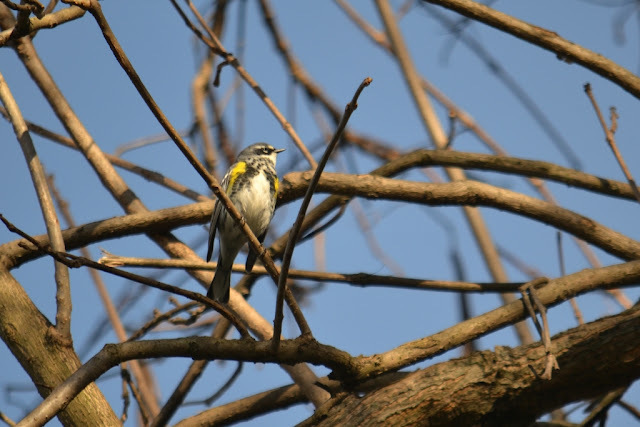 The Yellow-rumped Warbler (also called the Myrtle Warbler) was the first Warbler to show up in our yard both years. These small, active, brightly-colored birds are a welcome sight. It's good to again hear the warbler's songs coming from the trees. Don't think I've seen 'em here Dana. Spring is slow to arrive. The snow is all gone and the spring songs are being sung, but boy it's c-cold out there today.